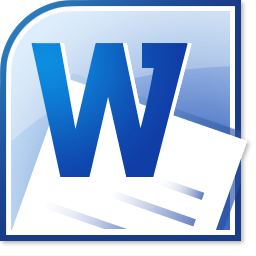 Microsoft Word – it’s more than just a word processor! Microsoft Word is, as its name suggests, the word processing element of the Office Suite of programs, unfortunately, some users merely use Microsoft Word as an electronic typewriter; however, it is much more than that as delegates find out during our Microsoft Word training courses. As new features are introduced with each subsequent version of the software, the course contents will be slightly different for each version, however, we can help you decide on the ideal course. Set our below as downloads are the detailed course content for our standard Microsoft Word 2010 training courses as an indication of what is covered. Please remember that if one of these is not an “ideal fit” for your needs, or you would like to combine elements from different levels, or need an earlier version, then please talk to us to discuss tailoring a course directly to your needs.